Hello and welcome to the One Credit Contest!! It's a competition to see who can get the farthest in a game on a single credit. 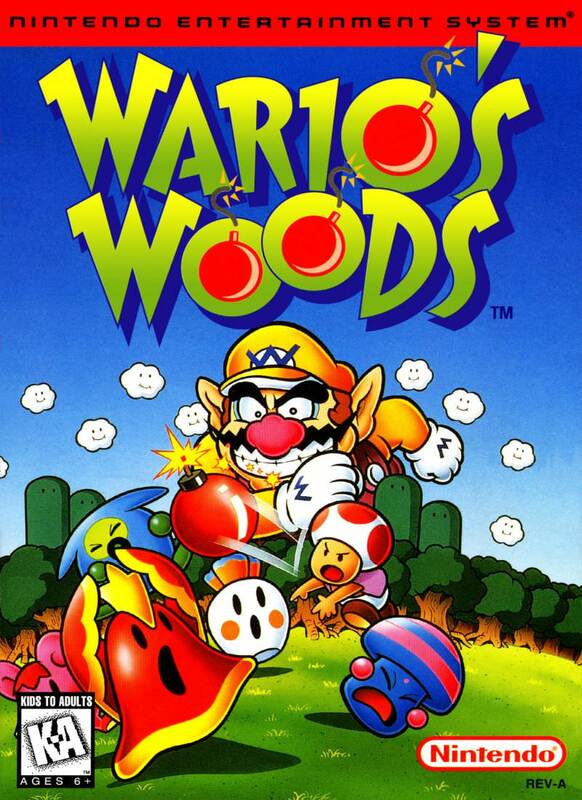 Our game this week, chosen by S1x, is Wario's Woods for the NES! I will maintain a leader board in this post, and about one week from now the winner will be decided. Progress is measured by the stage reached, then by credits + gold as a tiebreaker (the bottom value in the box labeled "GOLD" is your total collected gold, credits are CR at the bottom right). Further tiebreaking will be decided on a case-by-case basis (probably won't bother unless the top two are tied exactly). The winner gets to choose our next game. Last edited by mushroom on Tue Oct 23, 2018 10:19 am, edited 6 times in total. man, I love this game. Looking forward to it. FYI had to update the scoring rules a little bit because I didn't realize gold gave you credits. So we need to specify credits + gold when giving the score. It's weird and clunky but it's the only thing approaching score that this game has. What constitutes a "one credit" run of this game? If I die one time, is that my one credit? Yep. It asks you to continue. No continuing! You weren't kidding about this taking a while. I'll keep trying over the weekend. This game is great, though, man. The movement options and potential techniques are a lot deeper than you might think at first. Looks like @Marilink is our winner! Pick our next game! Awesome. What say you all to going on a little Balloon Trip? Excellent choice. I'll put the thread together sometime this evening.